To be together. To belong. To be known, embraced, accepted. Whether we find this in our Christmas celebration or not, our hearts are responding to this desire, like a compass needle to a loadstone. Embedded deep in our hearts is a need to be together, to be included, to be seen and known and loved. In some ways you could say that the history of human religion is an attempt to answer this deep need in us. We feel more known and accepted when we have a tribe. Religion has always been good at building tribes, marking who is in and who is not. Religion has also promised the ultimate, to be known and accepted by God, even to be together with God forever. …insert the whole history of human religion here. Make this sacrifice. Complete this pilgrimage. Keep this practice. Behave this way. Trust your leaders. Shun the outsiders and back-slidden. Pay your tithes. Attend. Listen. Obey. In our hope that the promise will be kept, we’ve manufactured new religious steps, piled on more practices and beliefs. The very things meant to help us find acceptance and closeness with God become a never-ending maze. We find ourselves surrounded by fences and gates, separating people from each other, labeling some people worthy and others unworthy, elevating some people as gate-keepers and scorning others as rebels, trouble-makers, apostate. The structure gets bigger, more complex, more imposing—and most of us never find ourselves any closer to God. But then something changed. God pushed down the walls of the maze, swept aside centuries of instructions and standards, and showed up in an unexpected place. There, in a back-water village, in an animal shed, surrounded by the poor and outcast, God showed up to fulfill the promise that religion could never keep. Indeed, we have all received grace after grace from His fullness, or the law was given through Moses, grace and truth came through Jesus Christ. No one has ever seen God. The One and Only Son — the One who is at the Father’s side— He has revealed Him. Jesus born means that we are seen, without having to build a tower to heaven. Jesus born means that we are valuable, without any accomplishments to claim. 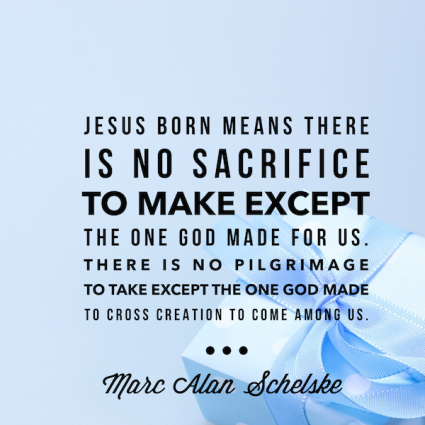 Jesus born means that we are no longer separated from God by a maze of behavior and dogma. There is no sacrifice to make except the one God made for us. There is no pilgrimage to embark except the one God made to cross creation to come among us. Whether your Christmas celebration filled your heart with belonhing or not, this desire in You was made by God. Let the season remind you of this change in the universe. God came for you. You are seen. You are known. You belong. You are included. Immanuel. Describe your feelings about Christmas in 2-3 sentences. Then reflect on why you feel that way. What life experiences have shaped that perspective? 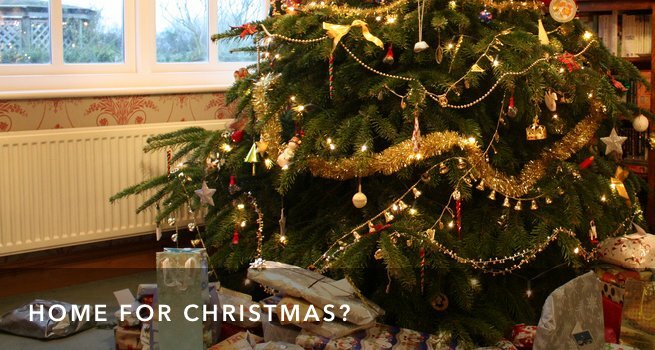 How might God be using Christmas to speak to you this year?